Next in a medium saucepan on medium heat, add heavy cream and remaining beer. Whisk occasionally until it comes to a simmer. Remove from heat and add chocolate chips, stir until chocolate melts. Now take the chocolate mixture and add to the eggs. Remember to keep rapidly whisking while doing this as you don’t want the eggs to curdle (You need to temper the eggs). Pour mixture through a sieve to remove an clumps and to make the mixture creamier and smooth. Next place into serving dishes. Refrigerate for 1 hour or overnight. 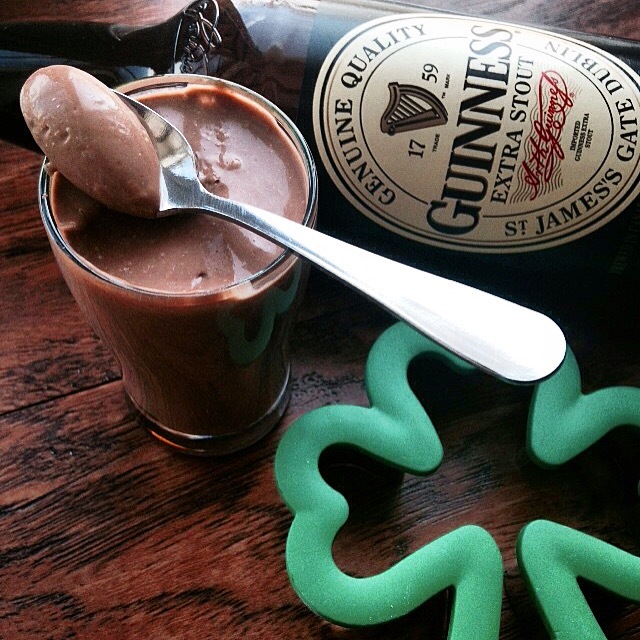 Never thought of Guinness in pudding! Makes sense though. Can you taste the beer?